Join us this week as we welcome country music singer songwriter, Savannah Lynne. Three years in a row (2013-2015) Savannah Lynne has won Female Country Teen Artist of the Year (Indie Music Channel), She is a country singer with a twist. Raised on the Hawaiian Islands, Savannah was exposed to all sorts of music, yet she always seemed drawn to country. Touring the West Coast since 2011, Savannah Lynne and her family finally settled in the most logical place for her in early 2014, Music City, Nashville, TN. Self-releasing her first EP in July 2013 to critical acclaim, her second single off the album ("Wildflower") was even placed in the Hollywood movie "Reach Me" starring Sylvester Stallone along with another single off her upcoming album ("On Hold"). No stranger to the stage, Savannah has performed at over 300 shows since late 2011 including such iconic venues as The Whiskey, Petco Park, Dodger Stadium, Staples Center, Kauffman Field, Bluebird Cafe, and the House of Blues to name just a few. 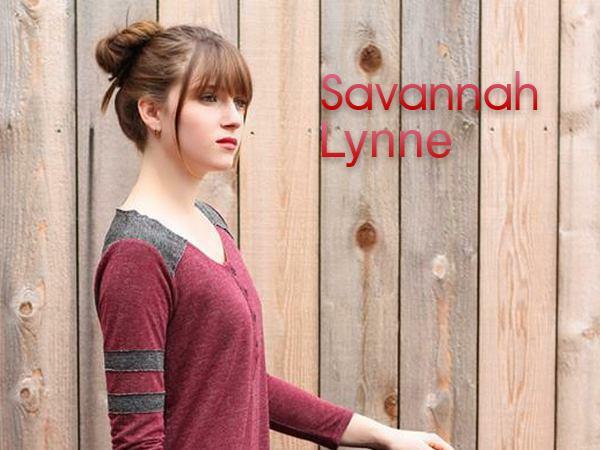 With the release of her upcoming sophomore EP "Kiss It Goodbye", the sky is the limit for Savannah Lynne!. We will talk to Savannah about her upcoming schedule, get a behind the scenes look at her music, feature her latest songs, and ask her to share her message for the troops. Please be sure to visit Savannah Lynne at http://www.savannahlynne.com/ and spread the word. Fans are welcome to call in and speak live with Savannah during the show (718) 766-4193. If you would like to participate in the live chat during the show, you must sign up on the show site first and then log in during the show. As always we will give shout outs to our deployed military listeners. Be sure to join us, Sunday 1/10/2016 at 4 PM EST! Our message to the troops: WE do what we do, because YOU do what you do.